Positioned to take advantage of the views, the open plan kitchen living and dining area opens to a large north facing deck with BBQ and plenty of outdoor seating. From the moment you walk in, you will be delighted you have arrived here. This cosy house is well suited for a family or two couples looking to holiday together. The master bedroom has a queen sized bed, the second bedroom has two single beds and the full bathroom has been newly renovated. There is also a bunk bed in the sleep out studio accessed externally. Palm Beach is one of the islands best beaches and a lovely seaside community with a fish and chips shop, a local dairy and a great playground with BBQ area all within easy reach. Leave life behind and enjoy a perfect seaside holiday here! 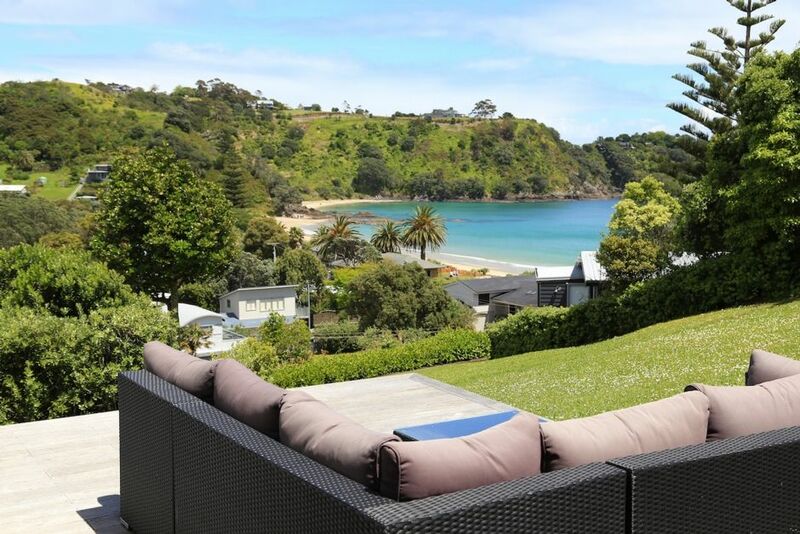 The Summer House is a great base to explore the wonderful vineyards, hiking trails, restaurants, shops and beaches on Waiheke Island. The main village of Oneroa, the passenger ferry at Matiatia, the vehicle ferry at Kennedy Point, a large supermarket are all within a five to ten minutes drive from this charming property. Vehicle available to hire. Enquire for rates andamp; availability.